For the past 30 years, I have been a passionate supporter of Manchester United. In my earliest years as a fan I remember us being pretty bad in the early Sir Alex Ferguson Years. Then throughout high school, college and my early years as an adult, it was unprecedented success and looking back, I loved every moment. Since Ferguson retired, it feels like we’re going back to the old days. 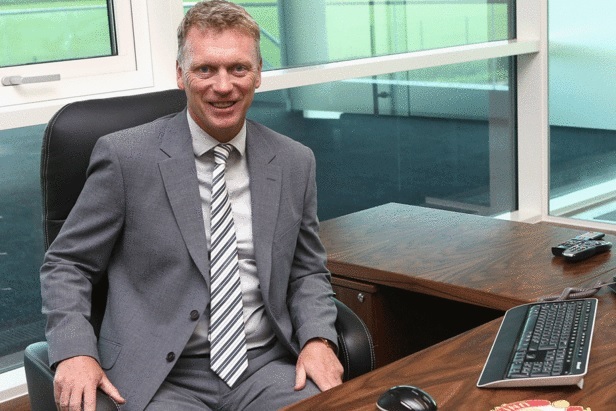 I remember the day when David Moyes was appointed as manager and I never had a good feeling about the appointment. He’d never won anything previously and I was desperately disappointed that we didn’t just get Mourinho (a mistake we corrected 3 years later but with much uncertainty moving forward). I never had any faith in David Moyes and his season in charge was abysmal. It’s clear to the whole world that he was a man out of his depth and I kind of felt sorry for him at the time but that sympathy has turned to anger with comments he’s made since he’s left. He will tell anyone that will listen about how he had a six year contract and that if he knew he was only staying 10 months, he would’ve done things differently. Shut David, you just weren’t up to the task. Take a look at this man. David Moyes, the man who was has since been to Spain and failed miserably, the man who is now bottom of the table with Sunderland having not won a game in seven attempts, was manager of Manchester United. Let that sink in. Then came Louis Van Gaal and again, I was not overly optimistic about his appointment but I was at least more optimistic about it than I was about Moyes. On the one hand, LVG had been sacked by Barcelona, sacked (in disgrace) by Bayern Munich and had failed to get the Netherlands to the world cup in 2002. On the other hand, he was coming off the back of very respectable 2014 world cup with the Netherlands, he had won league titles everywhere he’d been and there weren’t any other managers realistically available at the time. What I did not expect from LVG was the garbage football that plagued his entire tenure and left me counting the days until his sacking. Right from the beginning of his first season, the aim was to get back into the top four. The “rat race” as LVG named it. He achieved this goal with a brilliant run at the end of the season with wins against Spurs, City and the Scousers. Even though the last few games were garbage with drab draws and defeats, the goal had been achieved. The were murmurs throughout LVG’s first season that the football was terrible and not at all in line with the “United Way”. I backed him throughout the first season, perhaps even lying to myself in the process. I kept saying that it was his first season, he didn’t have much of a pre season because of the World Cup and he needed another transfer window to bring in the players he wanted. My belief was that so long as we got top 4 in the 2014-2015 season, we would sign some top players and mount a serious title challenge in 2015-2016. My enthusiasm for Louis Van Gaal and his “philosophy” was completely drained out of me by November 2015 and I was in the “LVG Out” camp by January 2016. Instead of building on the previous season, it just got worse and worse. The football went from boring to utter garbage and with the exception of Martial, the signings were a disaster. Memphis Depay is perhaps the most disappointing signing in Manchester United history. 2015-2016 was a record breaking season for all the wrong reasons with lack of goals and chances created. I’m a little ashamed to admit it, but after LVG managed to survive in January I was actually hoping we would lose the FA cup semi final and miss out on the top 4 so that LVG would be sacked. It was clear that he wasn’t going to turn things around in his third season and I was sick watching his boring, sideways football every week. Three years too late, we finally appointed Mourinho as manager, the first appointment that I fully backed since the departure of SAF. Even with Mourinho, there are so many unanswered questions and uncertainty moving forwards because of his capitulation at Chelsea. Despite his Chelsea meltdown, I 100% supported the appointment of Mourinho and still do now, despite the indifferent start to the season. It’s going to be an interesting season with many tough games and teams ahead. Here in my first post, I am going to come out with my hopes for the season: top 4 is good enough for me! It sounds like LVG all over again, but I would genuinely be happy with a top 4 finish in Mourinho’s first season, providing of course that he builds on it and mounts a title challenge in his second season. The league is more competitive than it’s ever been and the times of winning the league three times in a row are gone. With the next two games being away at Liverpool and Chelsea, we could be a long way off top 4 in a few weeks. It’s going to be interesting to look back at this post at the end of the season and see whether or not my perspective on things has changed, just s it did with LVG as I became more and more tired of him.